When people think of “Left hand Taboo” most people think its an African thing. Yes it is common in Africa but it was not started in Africa. 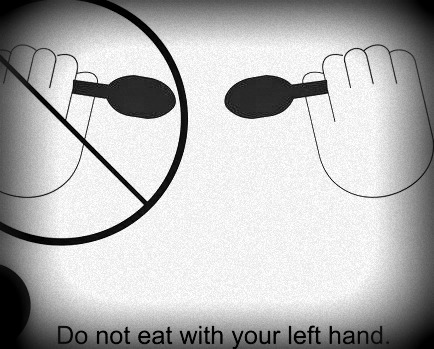 The whole “don’t eat with your left hand” has a lot more stories behind it. It is widely known in India, Africa and other parts of the world. Some people think it is a “Yoruba” thing, but its not entirely true. Also a lot of people believe that in Ghana no one uses there left hand for anything unless totally necessary. After researching a lot on this after being told off by my Boyfriend a long time ago for eating pounded yam with my left hand lol I found out a lot more than i expected. 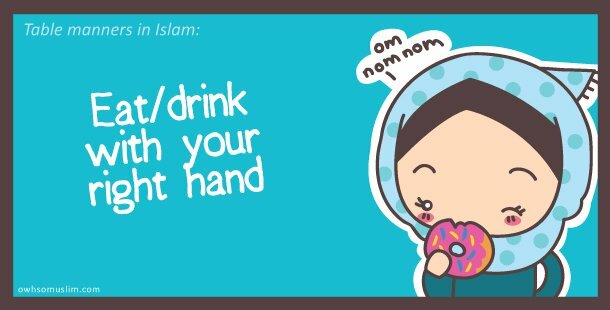 Turns out, it is also Islamic, That it is not good to eat with your left hand according to Islam and that Muslims must use there left hand when going to the toilet. Also to give someone a gift or a hand shake with your left hand is also considered to be Taboo. I don’t know everything about this “Left hand taboo” story but i wanted to make a quick post to let people know it is not only done in Africa! And that it has a lot more behind it than just being a rule people follow.